Match ends, FC Schalke 04 1, Bayer 04 Leverkusen 2. Second Half ends, FC Schalke 04 1, Bayer 04 Leverkusen 2. Mitchell Weiser (Bayer 04 Leverkusen) is shown the yellow card. Mitchell Weiser (Bayer 04 Leverkusen) has gone down, but that's a dive. Attempt saved. Mitchell Weiser (Bayer 04 Leverkusen) header from the centre of the box is saved in the centre of the goal. Assisted by Leon Bailey with a cross. Substitution, Bayer 04 Leverkusen. Sven Bender replaces Karim Bellarabi. Attempt missed. Weston McKennie (FC Schalke 04) right footed shot from the centre of the box is too high. Assisted by Salif Sané following a corner. Corner, FC Schalke 04. Conceded by Tin Jedvaj. Attempt missed. Leon Bailey (Bayer 04 Leverkusen) left footed shot from the left side of the box is just a bit too high. Assisted by Kai Havertz. Attempt missed. Daniel Caligiuri (FC Schalke 04) left footed shot from outside the box is close, but misses to the right. Assisted by Suat Serdar. Offside, FC Schalke 04. Weston McKennie tries a through ball, but Suat Serdar is caught offside. Corner, FC Schalke 04. Conceded by Wendell. Attempt blocked. Steven Skrzybski (FC Schalke 04) left footed shot from the right side of the box is blocked. Assisted by Amine Harit. Corner, FC Schalke 04. Conceded by Jonathan Tah. Attempt blocked. Weston McKennie (FC Schalke 04) left footed shot from the centre of the box is blocked. Assisted by Yevhen Konoplyanka. Attempt missed. Yevhen Konoplyanka (FC Schalke 04) left footed shot from the left side of the box misses to the right following a corner. Daniel Caligiuri (FC Schalke 04) wins a free kick in the attacking half. Attempt blocked. Suat Serdar (FC Schalke 04) right footed shot from outside the box is blocked. Assisted by Daniel Caligiuri. Attempt missed. Yevhen Konoplyanka (FC Schalke 04) right footed shot from the centre of the box misses to the right. Assisted by Steven Skrzybski. Substitution, FC Schalke 04. Yevhen Konoplyanka replaces Alessandro Schöpf. Offside, FC Schalke 04. Suat Serdar tries a through ball, but Steven Skrzybski is caught offside. Lukás Hrádecky (Bayer 04 Leverkusen) is shown the yellow card. Attempt missed. Steven Skrzybski (FC Schalke 04) right footed shot from the right side of the box is close, but misses to the left. Assisted by Alessandro Schöpf with a through ball. Attempt saved. Matija Nastasic (FC Schalke 04) header from the centre of the box is saved in the centre of the goal. Assisted by Salif Sané with a cross. Karim Bellarabi (Bayer 04 Leverkusen) is shown the yellow card for a bad foul. Substitution, Bayer 04 Leverkusen. Tin Jedvaj replaces Aleksandar Dragovic because of an injury. Hand ball by Julian Baumgartlinger (Bayer 04 Leverkusen). Hand ball by Lucas Alario (Bayer 04 Leverkusen). Substitution, FC Schalke 04. Suat Serdar replaces Nabil Bentaleb. Substitution, FC Schalke 04. Steven Skrzybski replaces Haji Wright. Delay in match Dominik Kohr (Bayer 04 Leverkusen) because of an injury. Attempt missed. Alessandro Schöpf (FC Schalke 04) right footed shot from the right side of the box misses to the left. Assisted by Daniel Caligiuri. Second Half begins FC Schalke 04 1, Bayer 04 Leverkusen 2. First Half ends, FC Schalke 04 1, Bayer 04 Leverkusen 2. Goal! 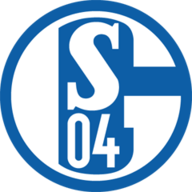 FC Schalke 04 1, Bayer 04 Leverkusen 2. Haji Wright (FC Schalke 04) right footed shot from very close range to the high centre of the goal. Assisted by Weston McKennie following a corner. Attempt missed. Weston McKennie (FC Schalke 04) header from the centre of the box is close, but misses to the right. Assisted by Bastian Oczipka with a cross following a corner. Corner, FC Schalke 04. Conceded by Dominik Kohr. Weston McKennie (FC Schalke 04) wins a free kick in the attacking half. Aleksandar Dragovic (Bayer 04 Leverkusen). Attempt missed. Nabil Bentaleb (FC Schalke 04) left footed shot from outside the box misses to the left. Assisted by Alessandro Schöpf. Corner, Bayer 04 Leverkusen. Conceded by Matija Nastasic. Corner, FC Schalke 04. Conceded by Lucas Alario. Corner, FC Schalke 04. Conceded by Karim Bellarabi. Goal! 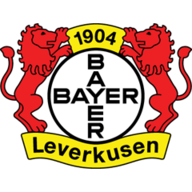 FC Schalke 04 0, Bayer 04 Leverkusen 2. Lucas Alario (Bayer 04 Leverkusen) left footed shot from the centre of the box to the bottom right corner. Assisted by Wendell with a cross. Attempt missed. Daniel Caligiuri (FC Schalke 04) left footed shot from outside the box is high and wide to the left. Assisted by Alessandro Schöpf with a headed pass. Amine Harit (FC Schalke 04) is shown the yellow card. Amine Harit (FC Schalke 04) has gone down, but that's a dive. Attempt missed. Benjamin Stambouli (FC Schalke 04) right footed shot from outside the box is high and wide to the right. Assisted by Bastian Oczipka. Goal! FC Schalke 04 0, Bayer 04 Leverkusen 1. Aleksandar Dragovic (Bayer 04 Leverkusen) right footed shot from the right side of the box to the bottom left corner following a set piece situation. Attempt saved. Leon Bailey (Bayer 04 Leverkusen) left footed shot from outside the box is saved in the bottom left corner. Assisted by Mitchell Weiser. Attempt missed. Karim Bellarabi (Bayer 04 Leverkusen) right footed shot from outside the box misses to the right following a set piece situation. Attempt missed. Dominik Kohr (Bayer 04 Leverkusen) right footed shot from outside the box is close, but misses to the left. Attempt saved. Wendell (Bayer 04 Leverkusen) left footed shot from outside the box is saved in the bottom right corner. Attempt saved. Weston McKennie (FC Schalke 04) header from the centre of the box is saved in the top right corner. Assisted by Bastian Oczipka with a cross. Attempt saved. Alessandro Schöpf (FC Schalke 04) left footed shot from outside the box is saved in the centre of the goal. Haji Wright (FC Schalke 04) wins a free kick in the defensive half. Attempt missed. Daniel Caligiuri (FC Schalke 04) left footed shot from outside the box is high and wide to the left.